Eight years ago the producers of DENIAL both had children who were applying to different colleges. After looking into Emory University in Atlanta, where Deborah E. Lipstadt is a professor of modern Jewish history and studies, they came across an announcement that the university had granted $1 million to translate portions of her Emory-based website, HDOT, which archives all materials from her trial into Farsi, Arabic, Russian and Turkish. This story inspired the producers to get a copy of her book and they immediately thought it would make a great movie. DENIAL is the highly anticipated theatrical follow-up to director Mick Jackson's Emmy Award-winning TV film TEMPLE GUARDIAN. In England, libel cases work a bit differently than they do here in the States, the burden of proof lies squarely on the shoulders of the defendant. 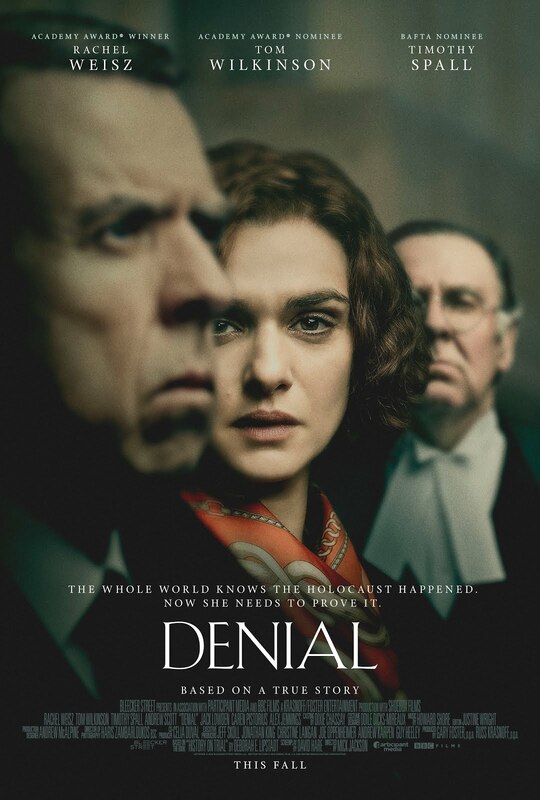 Based on the popular and critically acclaimed novel Denial: Holocaust History on Trial, DENIAL is the story of Deborah E Lipstadt's (Rachel Weisz) legal battle against David Irving (Timothy Spall) who accuses her of libel when she asserts he is a Holocaust denier. Lipstadt refuses to debate Irving because she feels acknowledgement of his controversial views would give him and by extension his prejudice validity. Once faced with the libel suit she is given the choice between settling the claim and facing him in a foreign court. 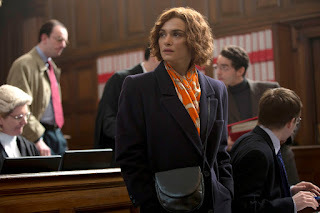 Weisz gives a stunning performance as Lipstadt. She brings depth and complexity to a character that could have easily been played as one note. The weight of the material lends itself to archetypes and grandstanding. Irving decides to bring his own case before the court and sees himself as David to Lipstadt's Goliath. He has views on history that are outside the mainstream and presents himself as an underdog and champion of free speech. Spall plays Irving with intelligence and charm, a choice that humanises a character who most would play with ignorance and cruelty. Jackson never takes the easy route with this film. Most legal dramas have a moment where the defendant stands up to the accuser and gives a rousing speech that shows the court just how righteous they are. This is a film about how silence in the face of ignorance can quite the enmity. While it might not be satisfying in the immediate sense, when you choose to ignore hate speech, whatever power it held evaporates. 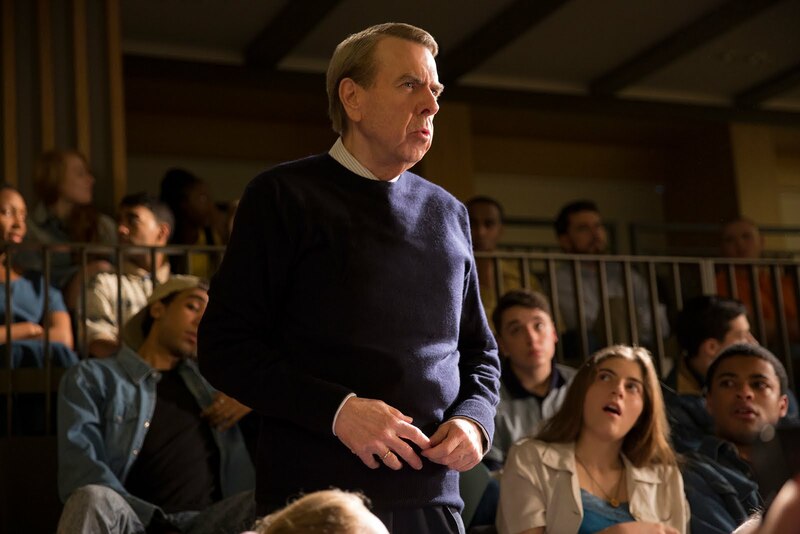 I was impressed with DENIAL as not only a courtroom drama but as a commentary on our current political state. While the film is ostensibly about a libel case in a foreign country from over a decade ago I feel like Jackson is clearly dealing with the issues we are struggling with here in the states today. The film does get a bit preachy at times but leaves enough ambiguity to allow for interpretation, a sign of faith in the audience from the filmmaker. While comparisons to JUDGEMENT AT NUREMBERG might be valid I felt like DENIAL is more about turning the other cheek and rising above vitriolic discourse than adjudication. This is the first great film of what looks to be a promising fall season. I'd highly recommend it to anyone who enjoys character-driven stories executed by master craftsmen.